Knight And Day was released with many expectations from the audience as it was starring Tom Cruise and Cameron Diaz. Being a spy thriller, it was expected to deliver something as good as James Bond movies. The movie have some fantastic and some good moments for sure, but it has its share of dull moments also. It makes the movie a good product in pieces but not in totality. Though it is a delightful watch for action thriller lovers for sure. The story and the script have some low points at various places, which brings in some dull moments. The dialogs are comparatively smaller and effective. The locales are filmed and explored really well. The movie have some turns and twists which you will enjoy. The cinematography is eye-pleasing. The background music is really appealing. The movie have emotional quotient too. The love of June for her father and his possessions (a car for example) will touch to your heart. She is willing to make the car functional as it was, and give it as a marriage present to her sister; who have other plans! April (June’s sister) thinks the car is pretty old and it should be sold to buy something she is in need for! It makes you emotional. It is a kind of battle between ideal and practical situations. Even the dialogs like “For me, June comes before April” are not only witty, they are emotional and effective too. On the other hand there are scenes which are half-backed. Eg. After meeting Roy on the plane, she falls in for him immediately and her conversation with self in the bathroom. The story is about two strangers, a pretty girl June and a mysterious man Roy Miller. Both on their way of life when bumped into each other for more than once at the airport. And eventually were in the same flight. It turns the – almost predictable – world of June upside down. The wrong things started happening with her on the aircraft itself. All her fellow passengers and pilots were killed when she was visiting a toilet! Roy does the crash landing of the plane in farms. He warns her that there will be some people who come to her claiming some stuff about Roy and asking her about her association with him! They will eventually try to move her to a safe place! And, the best thing she can do is not to reveal anything (as she actually doesn’t know much about Roy) and not to go with them! He actually makers her unconscious and drops her safely at her home! And leaves without a trace. Why so? Who is Roy? Why people are behind him and try to trace whoever he comes in touch with? Does the people following Roy are from the official authorities or criminals? Or both? Are Roy and June destined to meet again? So many questions are raised by the viewer’s mind and they are answered eventually. Some stuff still move in fast forward manner. Seems interesting right? Yes, it is, but not in total. Tom Cruise and Cameroz Diaz are not finalized for the lead roles since beginning. Adam Sandler was offered the role Tom played (the movie name was “Wichita” then). Then, Chris Tucker and Eva Mendes were thought of to play the lead roles (the movie name was “Trouble Man” then). Then, Gerald Butler was in talks for the role Tom played (Diaz already finalized for her role then). The movie’s official remake in Hindi is named as Bang Bang! (starring Hrithik Roshan and Katrina Kaif for the roles played by Tom Cruise and Cameron Diaz respectively). The movie got positive reviews and a commercial success. 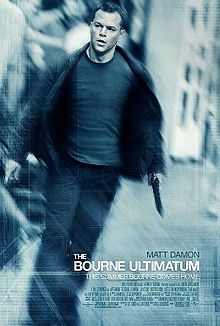 If you are an action thriller lover you will enjoy the major part of the movie, and that is a good reason to go for. Also the treatment of the movie is up to the marks.